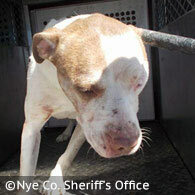 One of several pit bulls involved in the fatal attack of Kenneth Lawrence Ford, 79. UPDATE 07/08/15: In a truly regrettable and inadequate plea agreement, Ricky Davidson, 40, pleaded guilty to one count of reckless endangerment, a gross misdemeanor, after his three pit bulls horrifically attacked a man who later died while hospitalized. Davidson was sentenced to 364 days in jail in connection to the death of Kenneth Ford. The sentence also includes the other dog and drug-related charges against Davidson that were bundled together in a "global negotiation." 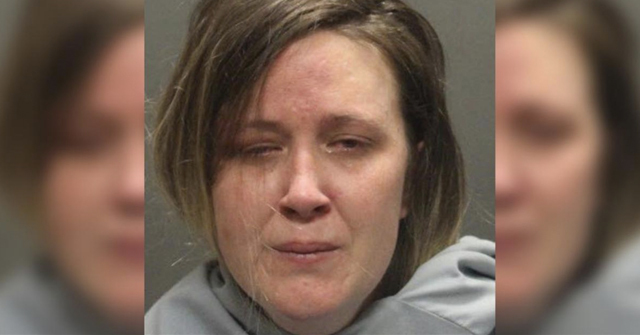 District Attorney prosecutor Michael Vieta-Kabell said he and defense attorney Lisa Chamlee reached an agreement on the punishment Davidson will receive for the mauling, a previous dog attack, a drug violation and a previous traffic offense. On August 19, 2014, Davidson's pit bulls escaped their enclosure and killed a dog belonging to a neighbor. 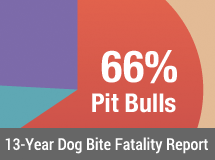 On September 1, 2014, Davidson's pit bulls escaped their enclosure and killed a second dog belonging to a neighbor. Six months later, Davidson's pit bulls escaped their enclosure again and brutally attacked Kenneth Ford. He was airlifted with life-threatening injuries to University Medical Center in Las Vegas, where he died on April 14. A one year sentence is a pittance. After the media began reporting the mauling death of Kenneth Ford on Wednesday, News 3 interviewed a man who said that he saw the violent March 13 attack. Going only by "Ron," he paints a very grim picture, including that the pit bulls chewed off the man's left hand and he lost six pints of blood. One of the two men who came to Ford's aid, and was also viciously attacked, spent 23 days in the hospital. The Nye County district attorney continues to interview witnesses. News 3: It happened back on March 13. Ron, who doesn't want to be on camera saw it all happen. Ron: I've never seen nothing like that in my life. News 3: He thinks the dogs were provoked. Ron: I sat down here on the porch and I seen the guy that's in jail now, out here in front of the house, beating these three dogs with a stick. News 3: The next thing he says he saw was 79-year old Kent Ford who was taking care of this home for the owner walked up to the door and was viciously attacked. Ron: Cause the dogs absolutely chewed his left hand plum off. He lost six pints of his blood. And his face was tore off. His eye was hanging out. I mean I have never seen nothing like that. News 3: Ron says that two neighbors, Jerry and Manny, came to Kenneth's aid, but they were also attacked. The neighbors knew their choices were limited. Ron: That's when he come running and he said, "Get your gun" and Manny shot one, and it did not even slow him down. He just kept attacking. News 3: Two of the dogs were shot, and as officers and an ambulance arrived, the dogs ran off. Ford was clinging to life. Ron: He was in the ambulance, he actually died in the ambulance, and they brought him back to life. News 3: He died Tuesday at a Sunrise hospital. All three dogs were caught and put down. The two other victims in the case are still recovering from their injuries. One spent 23 days in the hospital. Just returned a couple of days ago. He didn't want to go on camera for this story, saying he may get an attorney and file a lawsuit in this case. It was initially reported that owner's pit bulls had previously attacked another man. The Pahrump Valley Times, however, states there are no known previous attacks on humans. If true, this may complicate criminal charges. While police continue to investigate the March 13 attack, it is known that Davidson was cited twice for allowing his dogs to run loose, once in February 2013 and September 2014. In August 2014, Davidson was cited after his dogs attacked another animal. 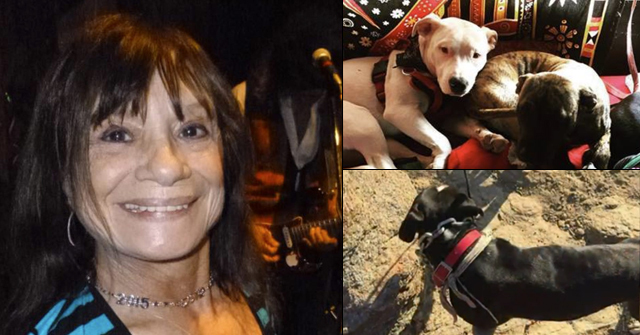 Pahrump, NV - A man brutally attacked by three pit bulls back in March has died of his injuries, according to the Clark County coroner's office. Kenneth Lawrence Ford, 79-years old, died Tuesday at University Medical Center. 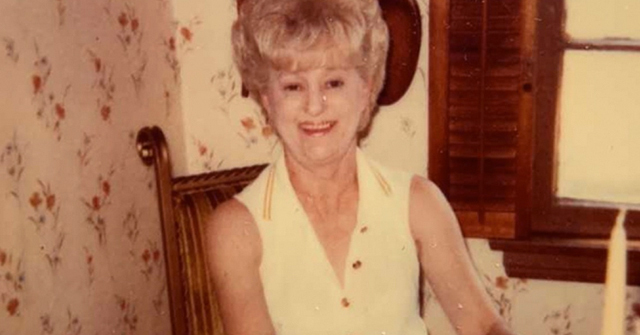 During the vicious attack, the pit bulls also attacked two men who came to Ford's aid, both suffered serious injuries. Ford was air lifted to University Medical Center with critical injuries at that time, according to deputies. He died one month later. On March 13, Nye County Sheriff’s deputies responded to a landlord and tenant two-home property in Pahrump. Ford was on the property to feed the landlord's cats when three pit bulls belonging to the tenant scaled a six-foot fence and attacked him. Two men intervened and were also attacked. Both suffered severe injuries, but were able to drag Ford through a gate and close it. But the pit bulls found a hole in the fence and continued attacking even after two were shot. Neighbor Maria Wells, who witnessed part of the violent attack told 8 News Now, "He was in shock. He was bleeding terribly." Another neighbor said the scene was, "overwhelming." 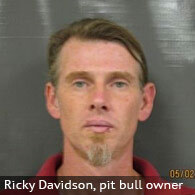 The tenant and owner of the three pit bulls, 40-year old, Ricky Davidson, was arrested and booked into the Nye County Detention Center on multiple charges of keeping a vicious dog resulting in substantial bodily harm. Eight months earlier, Davidson's pit bulls had also attacked another man. Davidson continues to remain behind bars since the March 13 attack. In late March, Judge Ron Kent denied a request by Davidson's attorney that he be released on his own recognizance. At that point, some charges had still not been filed as police were still investigating "numerous additional cases active against Davidson." It is possible that the Nye County prosecutor will elevate charges due to Ford's death. Davidson's next scheduled court appearance is April 29. In 2013, Nevada legislators passed a state preemption law prohibiting local governments from enacting breed-specific ordinances. In the last two months, there have been multiple high profile pit bull maulings in the state. Both resulted in criminal charges against the owner of the dogs. 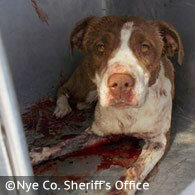 View the DogsBite.org Google State Map: Nevada Fatal Pit Bull Attacks. Landlords and property owners need to understand that if they allow people with fighting breeds on their property, the landlords will take on the liability, and may well be killed or injured themselves. 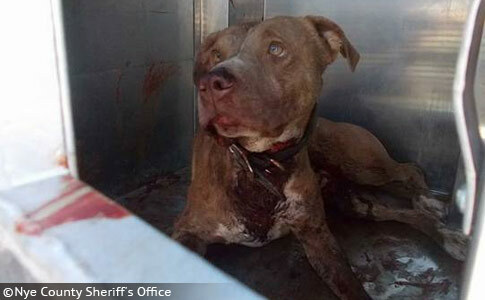 Allowing pit bulls on your property is begging for disaster and ruin. "Eight months earlier, Davidson's pit bulls had also attacked another man." Yet again, another "unpreventable" tragedy. Debates on breed restrictions aside, when will we get to the point where we can all agree that INDIVIDUAL KNOWN MAULERS need to be taken out of circulation? YEESH.